He was not trained traditionally in music as a child, his undying passion and admiration for music as an art made him the star that he is today, and for him, music isn't just his career, but a refined way of expressing himself. A man of a voice and his words that stand out, Vishal Dadlani is an accomplished musician globally today. He's the go-to composer for Bollywood super hits and some refreshing, offbeat music. 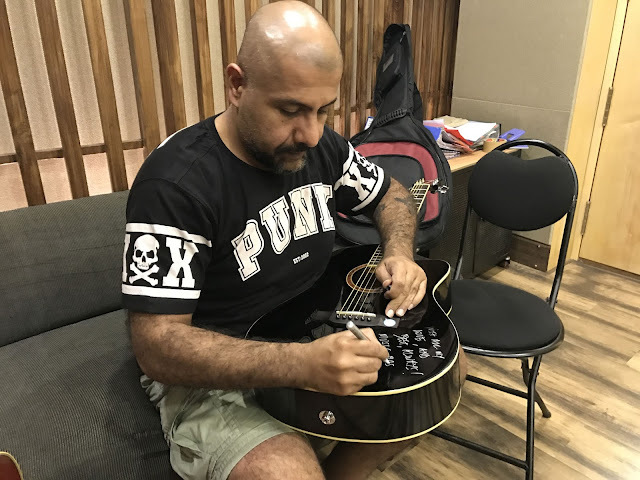 Reflecting the notion of giving it back to the community, Dadlani is now joining the Music for a Cause campaign by News18.com that will provide underprivileged, talented young children a stage to shine. Combining the beauty of music with an impactful social cause, News18.com along with Mauic Basti is organizing a ReSound Concert on 26th February in Delhi as a part of its 'Music for a Cause' campaign. This evening will pay an ode to music with a soul while providing 250 young children of Delhi's Music Basti NGO a platform to showcase their singing talents as they perform original songs about peace. At the end of the concert, the children of will be felicitated with autographed music instruments curated from renowned Indian Musicians. Vishal Dadlani is one of the many popular musicians who have pledged their support. For many, Music is much more than just entertainment. It’s a mode of communication, a way of expressing themselves and a therapeutic action. Adding more about how music has changed his life, he said, “As a child, I was really violent and aggressive for no reason, and I used to get into trouble for the same. Sometimes, children tend to be rebellious, and I think that is fine too. But in my case, music saved me from getting into fights. When I joined a band in those days, it allowed me to channelize all that energy and aggression. I began expressing myself through my music, which later became my savior. I would like to recommend all the parents to encourage their children to take up music, if they have the genuine inclination towards it.” News18.com is collaborating with Music Basti, a Delhi based NGO for their ReSound concert, which will take place on 26 February at the Garden of Five Senses, New Delhi.